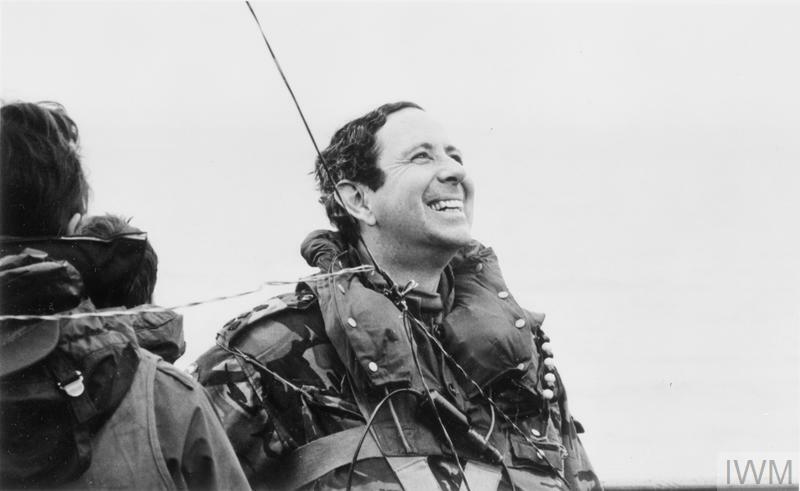 BRIGADIER TONY WILSON ON THE FALKLAND ISLANDS, JUNE 1982: PHOTOGRAPHS BY 5 INFANTRY BRIGADE PHOTOGRAPHER. 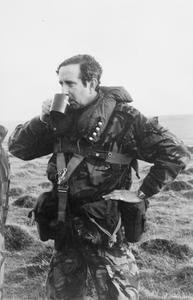 Brigadier Tony Wilson, officer commanding 5 Infantry Brigade, on the Falkland islands before the final battle. BRIGADIER TONY WILSON ON BOARD QUEEN ELIZABETH II, MAY 1982: PHOTOGRAPHS BY 5 INFANTRY BRIGADE PHOTOGRAPHER. BRITISH TROOPS "DIG IN" ON THE FALKLAND ISLANDS, JUNE 1982: PHOTOGRAPHS BY SGT RON HUDSON OFFICIAL UKLF PHOTOGRAPHER.